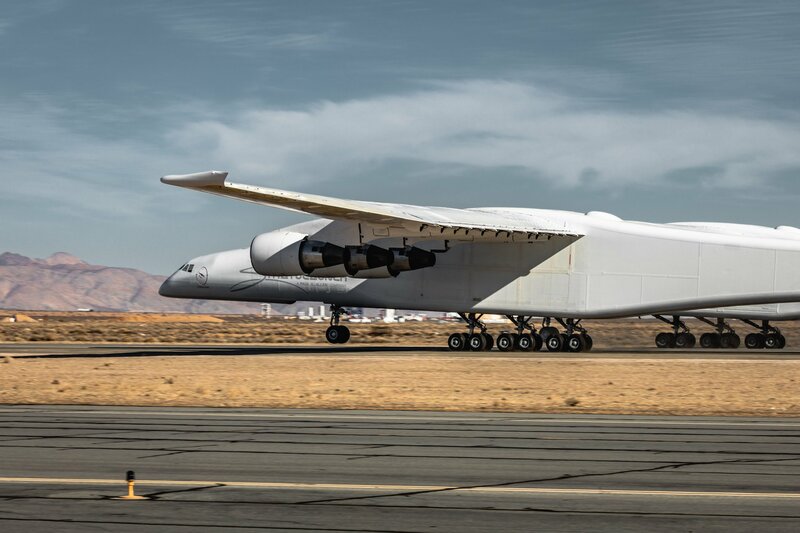 Stratolaunch, the aerospace venture created by Microsoft co-founder Paul Allen, says its twin-fuselage, six-engine aircraft raced as fast as 136 mph down the runway at California’s Mojave Air and Space Port today during its latest taxi test. That’s almost takeoff speed for the world’s largest airplane, which is designed to serve as a flying launch platform for orbital-class rockets. One of the pictures released in the wake of today’s test run shows the plane’s nose gear rising from the runway, and Stratolaunch used the hashtag #wheelie in its celebratory tweet. It’s been said that one of the challenges during these high-speed tests is to keep the 385-foot-wide plane on the ground. This entry was posted in GeekWire and tagged Space, Stratolaunch. Bookmark the permalink.